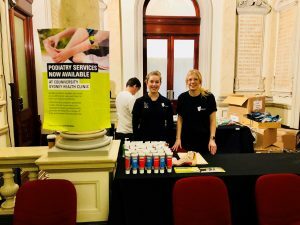 In 2018, staff and students within the School of Health, Medical and Applied Sciences at CQUniversity identified a need to establish a podiatry service to overcome the healthcare barriers of people in the homeless community. The CQUniversity Podiatry Homeless Initiative commenced in July 2018, operating out of the Sydney and Rockhampton CQUniversity Health Clinics. The aim of the initiative is to address the physical and financial barriers experienced by people in New South Wales and Central Queensland who are homeless and at risk of homelessness by providing a free-of-charge student-led podiatry service. To assist in improving clients’ health and wellbeing, services include initial foot screening for peripheral arterial disease and peripheral neuropathy (i.e. poor blood circulation and nerve damage), and basic foot care such as nail care and removal of corns. This initiative also provides podiatry services to children to educate the next generation on the importance of foot care from a young age. 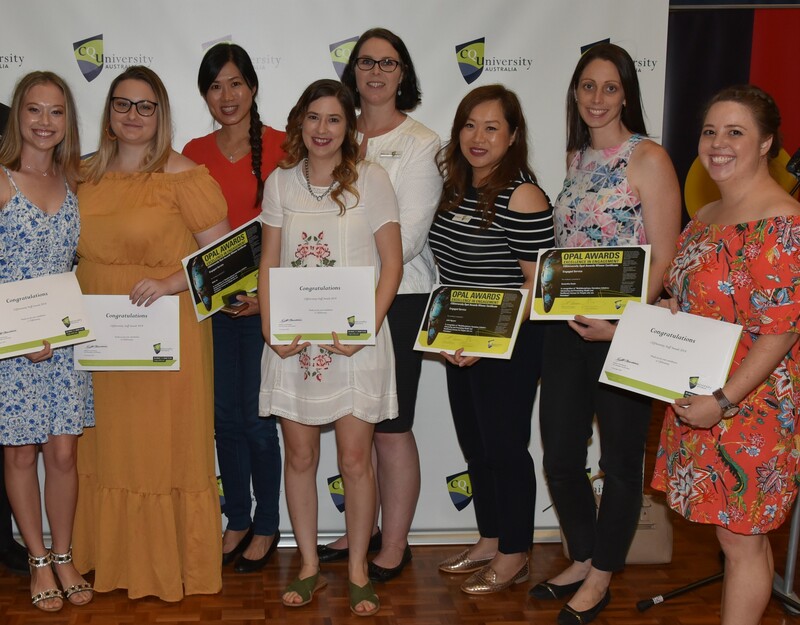 The successful collaboration of efforts from staff and students involved led them to win two Opal Awards for Excellence in Engagement, an awards program at CQUniversity that recognises and encourages outstanding engagement by staff and students with the community. 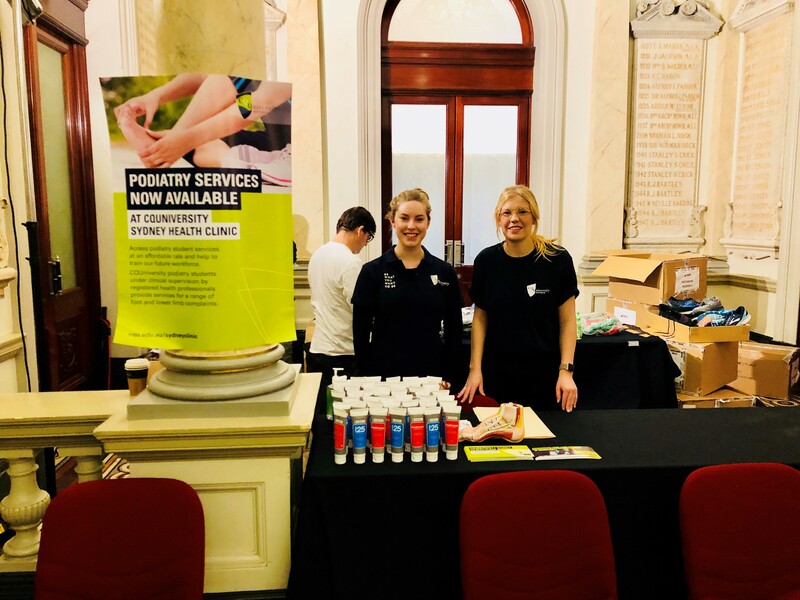 The CQUniversity Podiatry Homeless Initiative will continue to work in partnership with other government and non-government organisations to promote the service and raise awareness in the importance of podiatry health within the homeless community. Plans have also commenced for involvement in the 2019 Homeless Connect Expo both in Sydney and Rockhampton. Rockhampton Campus, left to right – Alesha Stehbens (3rd year podiatry student), Bretany Appel (New podiatry graduate), Dr. Malia Ho (Head of Course Podiatry), Catherine Podesta (New podiatry graduate), Bridie Luva (Executive Officer), Julie Nguyen (Lecturer Podiatry), Samantha Swain (Lecturer Physiotherapy), Hayley Van Den Berg (3rd year podiatry student). Sydney Campus, left to right – Laura Hutchison (Lecturer Podiatry), and Merridy Lithgow (Lecturer Podiatry).